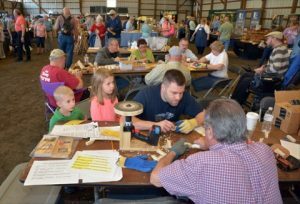 We owe special thanks to the many members of local clubs who volunteered at Fox Chapel’s Open House and Woodworking Show and introduced visitors of all ages to carving, turning, and scroll sawing. 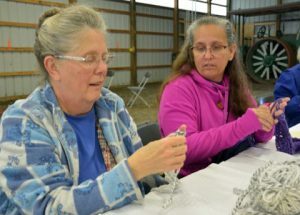 Additional volunteers taught woodburning, soap carving, finger knitting, and coloring. Thanks, too, to the sponsors whose support allowed us to provide the activities for free. 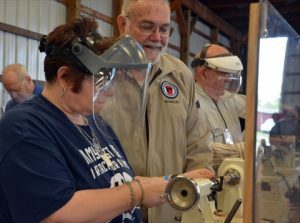 Members of the Lancaster County Woodcarvers, the Conewago Carvers, and the West Shore Woodcarvers taught visitors how to carve a 20-Minute Owl, in most cases one-on-one. 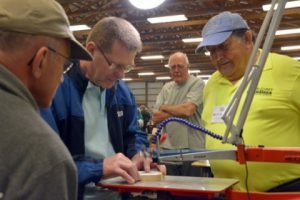 The clubs provided the blanks and taught tool safety, grain direction, marking the pattern, and the basic cuts while the visitors carved the simple project. Most visitors walked away with a completed owl, a hand out that will help them carve their own in the future, and basic carving knowledge. 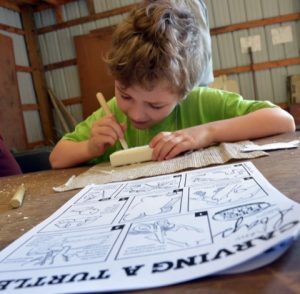 Visitors could also cut a simple animal puzzle on a scroll saw with the Tri-County Scrollers, who provided the puzzle blanks. In addition to offering encouragement, the volunteers showed visitors how to cut along the the lines without bending or breaking the blades, cut tight curves, and how to remove the pattern (to show that once the pattern is gone, no one can see when you strayed from the line). Scrollers also had the opportunity to try any of the six saws available, including saws from the four manufacturers or retailers who had booths at the Open House: PS Wood Machines, Seyco (Excalibur), Bushton (Hawk), and Hegner. Fox Chapel staff introduced visitors to simple woodburning (pyrography) with a Celtic knot work ornament project. We also provided “good clean fun” with soap carving. 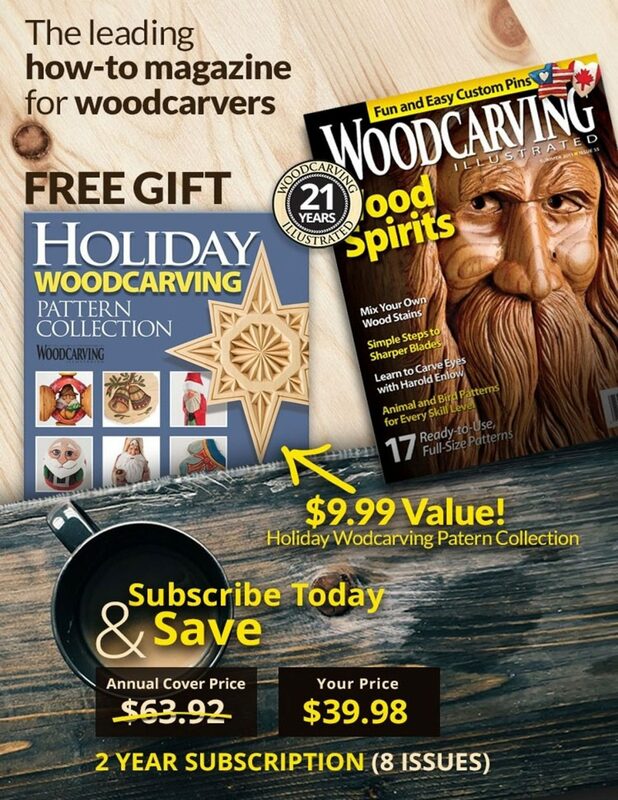 We had patterns and supplies for a turtle or dog and used wooden tools provided by the Desert Woodcarving Show and Competition in Mesa, Ariz.
Fox Chapel and DO magazine also had a booth where folks could stop to color a page or learn to finger knit. 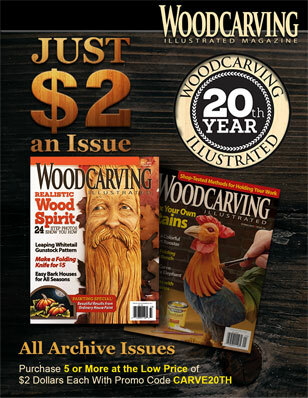 For more information on the 2016 Fox Chapel Publishing Open House, visit www.wood-show.com.